We finally set up an official facebook page for Buffalo Hats. Do check it out and like it. We'll post site updates, new hats, etc. there from now on instead of on Buffalo's personal page. I updated the social media links in the footer to point to buffalohatsandmasks. In other news, we are slowly adapting Etsy's new shipping policies on a listing by listing basis. This requires weighing and measuring each item in a shipping box and we don't currently have any boxes big enough to accommodate the larger brimmed hats. What does this mean for you? Theoretically, shipping rates on Etsy are more accurate now. Buffalo made a pretty good guess at US shipping rates, but international shipping is vastly more expensive. For this reason, the items that haven't been properly weighed are currently only available in the US. Here in the website store, tax and shipping are included in the price for US orders. If you live outside the US, email Buffalo to make arrangements for international shipping. 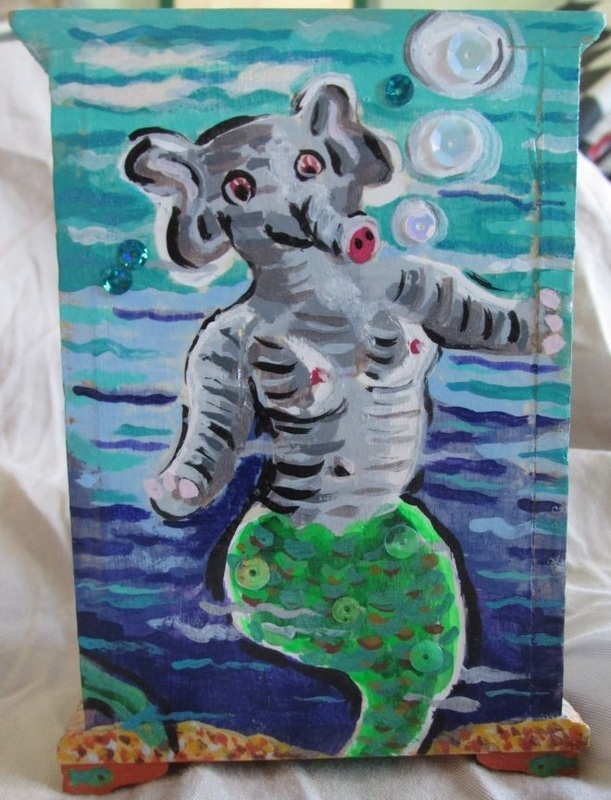 If you've been following Buffalo for any length of time, you may have noticed her mermaid fetish. 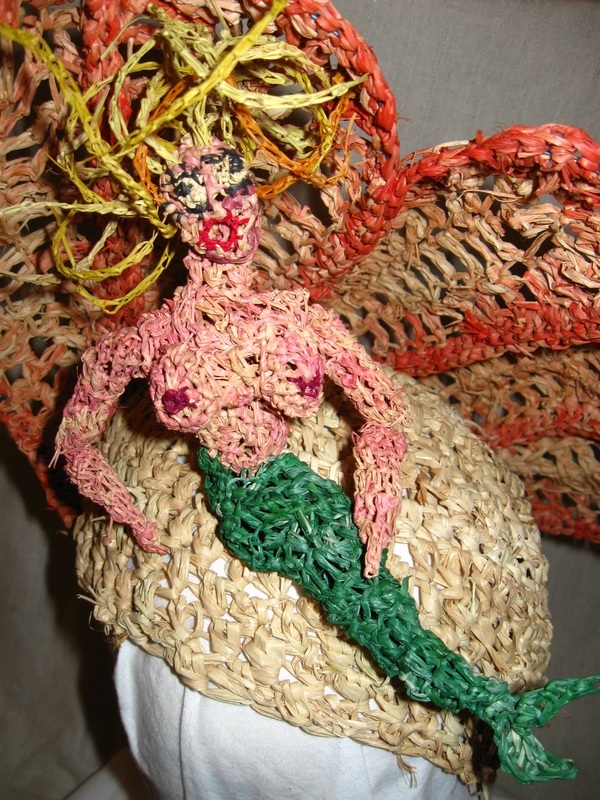 Raffia mermaids, needlelace mermaids, stumpwork mermaids, painted mermaids adorn a lot of her work. 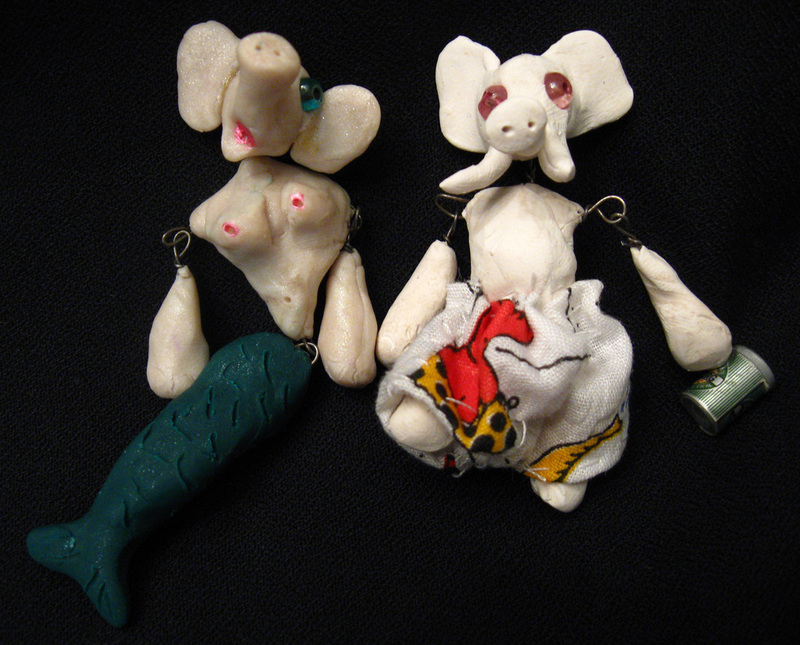 She has even crafted mermaid dolls out of Fimo dough. 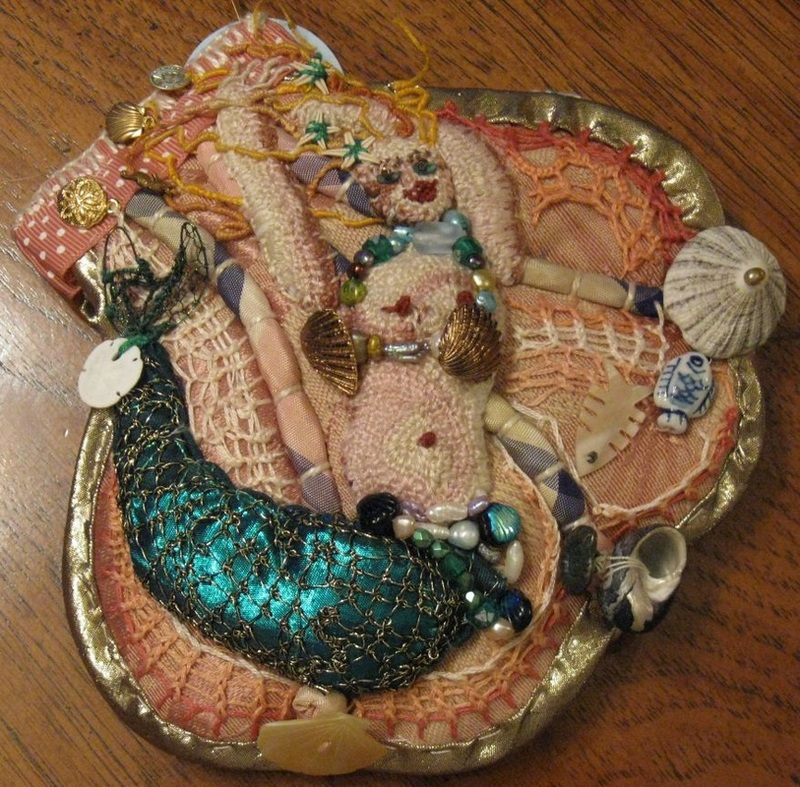 For a long while, she has been working on a massive needlelace mermaid project. I'm not sure what the end result will be (a blouse? a veil?) but the pieces are adorable. 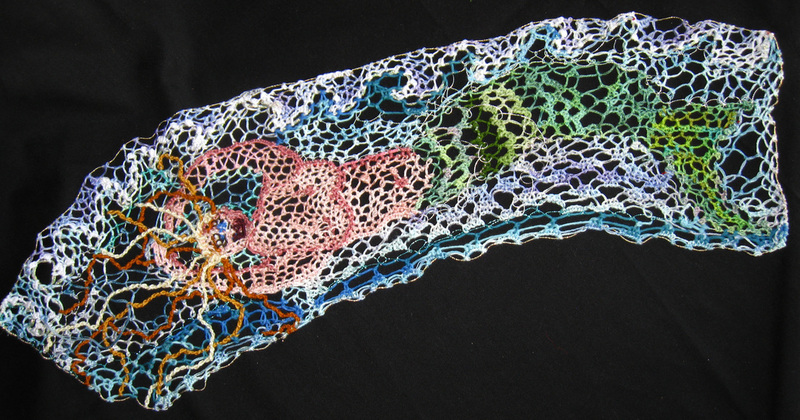 The photos above show finished lace pieces. Below are some pieces in various stages of progress. Buffalo is giving a presentation this weekend on how to make needlelace at the Pacific Beach Library on Cass Street (4275 Cass St San Diego 92109). Saturday, May 14 from noon - 12:45pm in Cass Plaza. This is a new thing they are doing at the San Diego Public Library. If you are in the neighborhood, come on by! More information on the How-To Festival here.